Carpet Cleaning Manhattan Beach, CA -Your carpet needs professional carpet cleaning once every six months in order for it to maintain its color and quality. 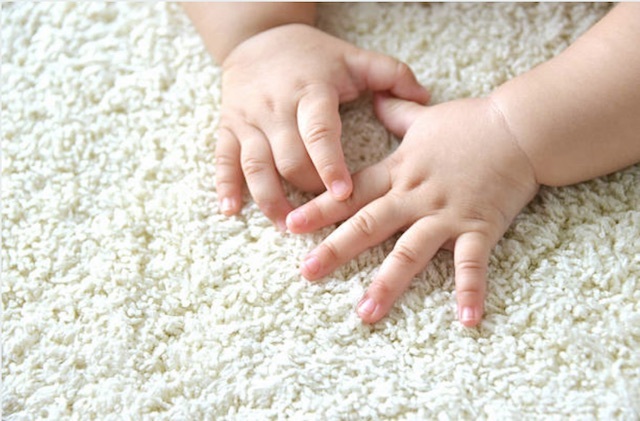 The longer a carpet goes without deep cleaning the more dirt builds up beneath the fibers. This wears down the resiliency of the carpet and leads to color fade. This can be reversed if you hire a local carpet cleaning company in Manhattan Beach each year. A professional service is able to eradicate bacteria and soils embedded in the carpet deeper than a vacuum cleaner or basic cleaning is able to reach. Your routine vacuuming is one of the best things you can do for your carpet but it is not enough on the own. Professional carpet cleaning supplements vacuuming. You want to hire a Manhattan Beach carpet cleaner able to extract deep dirt from your carpet. Avoid companies advertising steam cleaning or promoting prices too good to be true. This is a sign that their results will not lead to healthier carpet in your home. The reason we don’t recommend steam cleaning is because of the amount of moisture the process requires. The process uses soap and sometimes toxins too. Do you really want to saturate your carpet with water and chemicals? Amazing Care Chem-Dry of Norwalk, CA offers superior carpet cleaning for homes and businesses in Cerritos as well as Long Beach and Los Angeles County. We don’t use chemicals for carpet cleaning. We don’t even use soap. Our solutions are green-certifed and 100% chemical-free. Our proprietary cleaning solution, The Natural®, produces millions of tiny bubbles so strong they’re able to permeate carpet fibers and lift the deeper dirt to the surface of your floor. The solution is truly amazing! Then we use Hot Carbonating Extraction (HCE) to purge the dirt, soils, dust and allergens from the surface of the carpet and transfer them to disposal tanks to be emptied off your premises. The entire process uses only 20% of the water steam cleaners need for carpet cleaning. Only 20%! This saves your carpet from saturation and eliminates the potential for carpet browning or mold growth. What’s even better is that our carpet cleaning removes over 98% of allergens from carpet for a deeper, healthier clean for homes in Cerritos. Don’t forget Amazing Care Chem-Dry when it comes time for professional upholstery cleaning for your furniture. We clean sofas, loveseats, recliners, dining room chairs, ottomans, benches and more! Our furniture cleaning service uses the same principles as our carpet cleaning for healthy results you will love. There is no soap, no chemicals and very little moisture in the process. Amazing Care Chem-Dry uses a handheld suction tool to remove loose soils and pet dander from furniture upholstery. We then mist The Natural® over the furniture and let it permeate the fabrics to retrieve deep bacteria and dirt from the upholstery. We then use our suction tool to eradicate dirt, allergens and remaining traces of The Natural® for a deep and healthier clean. Your furniture dries fast too! You can get back to lounging and relaxing on it later that same day. Tile needs deep cleaning too. Grout collects germs and bacteria and eventually wears down the tiles themselves and leads to corrosion and cracks. This can be prevented with routine deep cleaning of your tile and stone floors. Call Amazing Care Chem-Dry for an appointment. Our tile cleaning service eliminates germs and bacteria from grout and restores the shine of your tile or stone flooring. We analyze the floor to determine the construction before we move forward with the proper solutions and necessary equipment. Different tile and stones call for different cleaning methods. We then remove the dry soil from the surface and protect the surrounding carpet or hardwood floors so that our solutions do not come into contact with them. Then we begin to deep clean your stone or tile floor. We will evaluate the results throughout the process to ensure everything is going as anticipated and before you know it, your floor will shimmer and shine again! Before we finish, we apply a new layer of sealant over the tile to protect against germs and bacteria trying to permeate the grout. You will love your tile floors after our service! We guarantee it! Learn more about our tile and grout cleaning. To schedule services from Amazing Care Chem-Dry, call (562) 244-2975. We’re ready to help you enjoy a cleaner, healthier home!